Go Press and foil ..simple..
Todays card is a very simple one made with my Go Press and Foil machine to foil the Rose hot foil stamp ( couture Creations) in green foil, and then white cardstock for the rest. I dry embossed a piece of cardstock with a stampin up embossing folder,and Die cut a stitched oval ( Seven Paper Dolls die) One little white ribbon and this all occasion card is finished! I have a day off today and quite a bit of housework to catch up on, but I am sure I will find some spare time to unwind in the craft room…til tomorrow…. 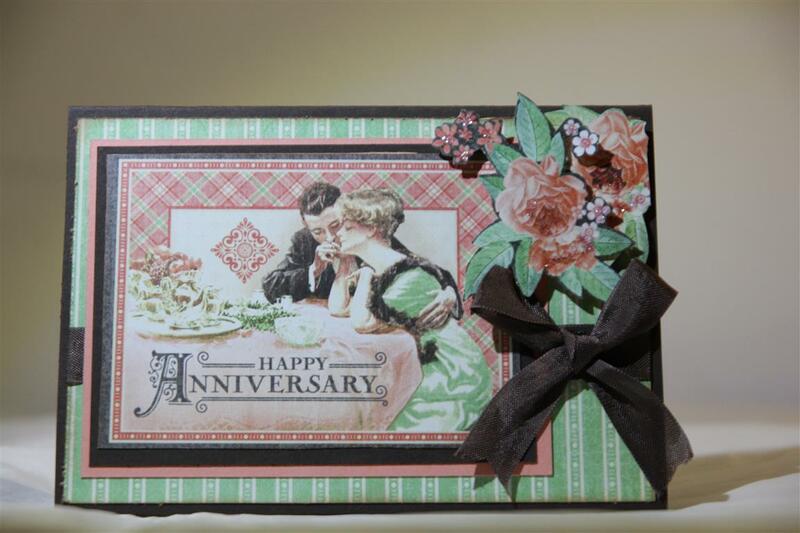 Todays card is and engagement card, using all the same bits and pieces as yesterday card, including kaisercraft Cottage Rose paper ( 6″ pad this time) , collectables, and occassions die. 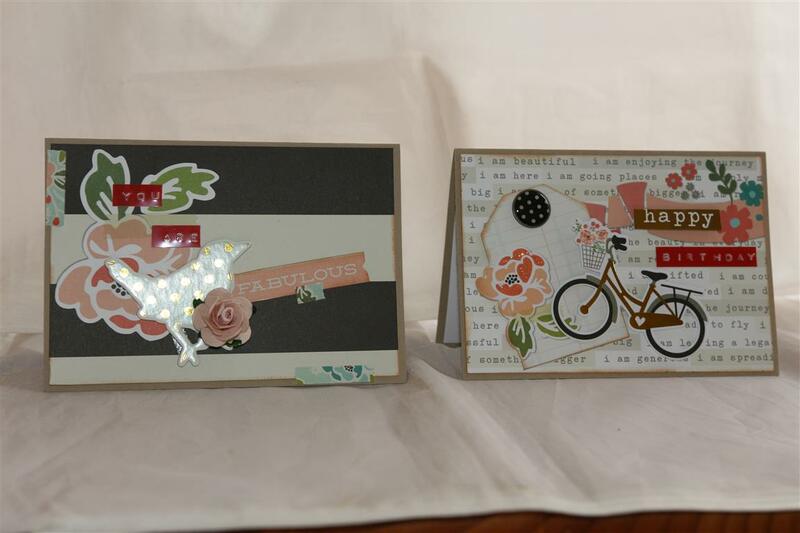 I also die cut a couple of hearts with some silver cardstock from stampin up. Quick post today as my roast is ready as we speak, and then into the craft room – I have finally caught up with orders so today is freestylin’! Til tomorrow…. 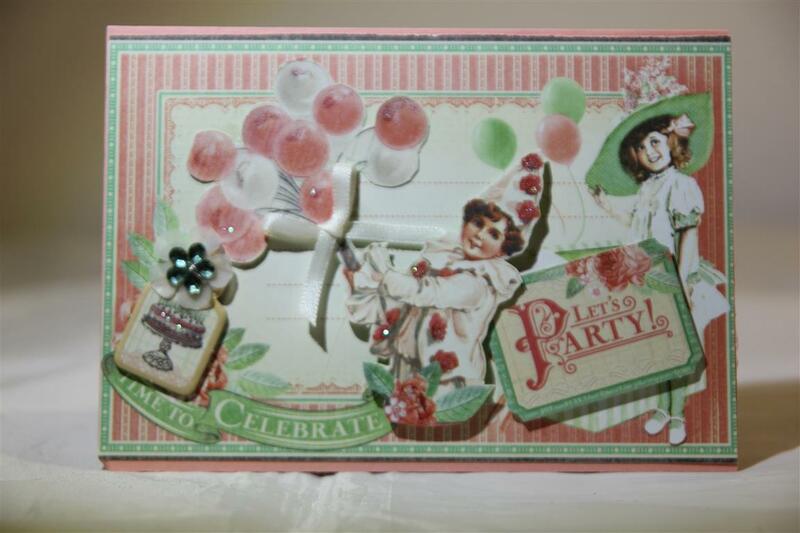 This is the last Kaisercraft Fiesta card I made, and I have enjoyed showing these bright and beautiful colours! I will revisit this paper again as I still have some left. this one used the 6″ paper pad, collectables and the labels were from a piece of the 12 x 12 paper ( the only piece of that size I bought).I just had to add a ribbon bow and a sprinkle of sequins to finish.I went back to work yesterday after quite a few weeks off with my knee, and I have to say it was tough. I came home and had to ice my knee and put heat on my back, but today I am much better – have come home with no aches and pains so I am truly grateful for that! I would like to thank all my blog friends for your best wishes and concern.One more day then 5 days off! yay! til tomorrow…. 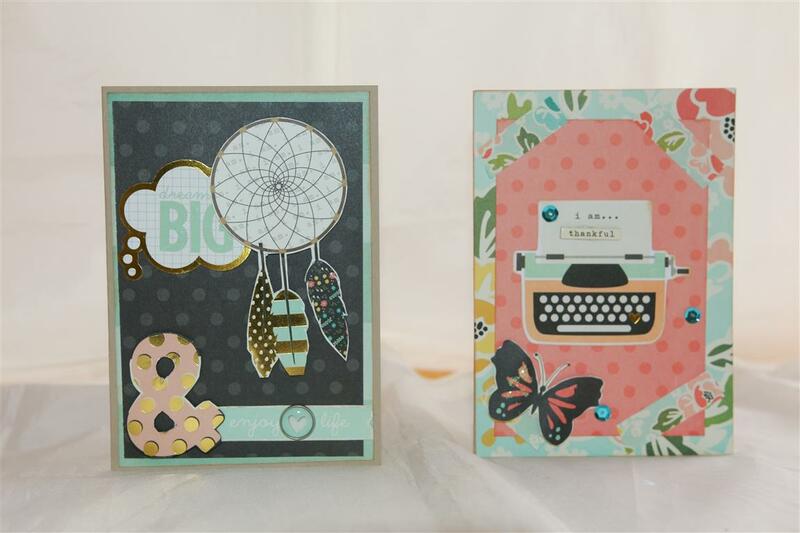 we are back to Simple stories I am paper collection just a few papers but so many cards! 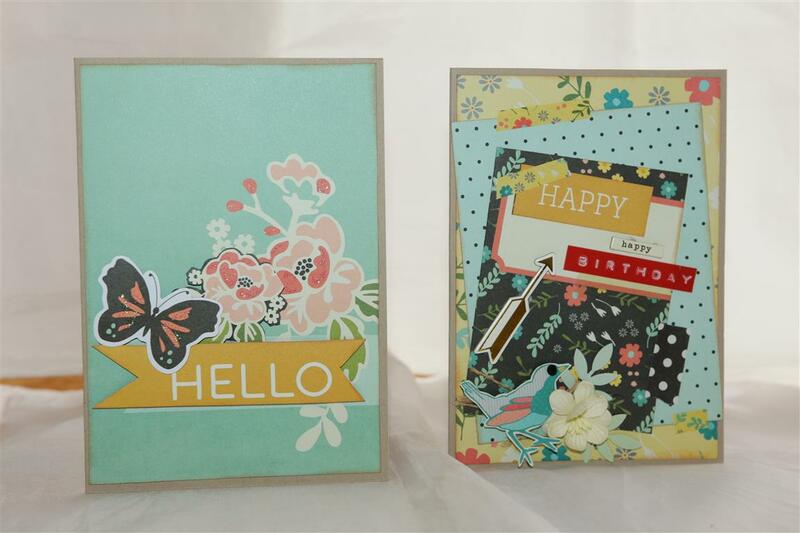 I used my dymo labeller on some of them to add to the sentiments, added a flower or sequins here and there but really not much more embellishing required on these ones. Today is Mothers day here so it has been a lovely afternoon with my sisters and mum at our local papercrafting store having a girlie day out! til tomorrow…. An anniversary card and a generic type lets party card today made with Graphic 45 Time to Celebrate.both cards have an amount of fussy cutting, and the top card has seam binding, the bottom card just a small ribbon bow around the balloons.I have one more class for January left to set up this weekend, and then I think it might be beach themed cards as the weather has been very warm here and all thoughts are on cooler places! til tomorrow….